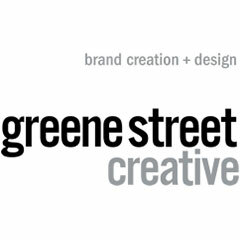 Greene Street Creative helps companies build successful brands by developing smart, engaging marketing experiences. Combining insightful strategic thinking with a powerful design aesthetic, our creative solutions empower connections that are as memorable as they are effective. To best address each client’s needs, we assemble teams on a project-by-project basis from an established network of talent in copywriting, programming, social influence, photography and video production.